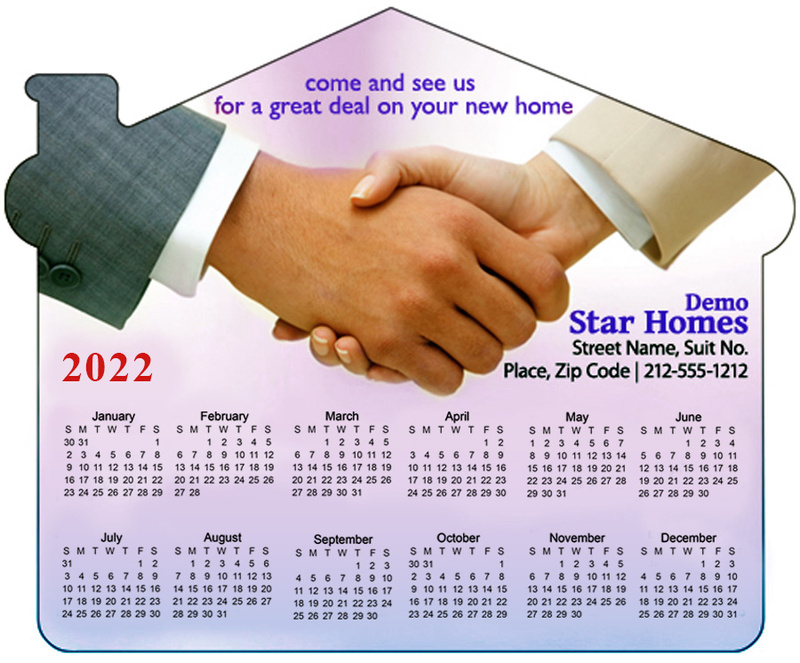 A 4.25 x 3.5 real estate house shaped calendar magnet can be utilized for promoting the realtor services. These magnets are utilized by realtors, real estate developers, real estate agents and architects to promote their services. These magnets are offered as refrigerator magnet and serve as a good brand token in any season. The customers will love to keep it for two reasons – easy accessibility to the dates and its unique shape. They can customize the magnet for $0.18.